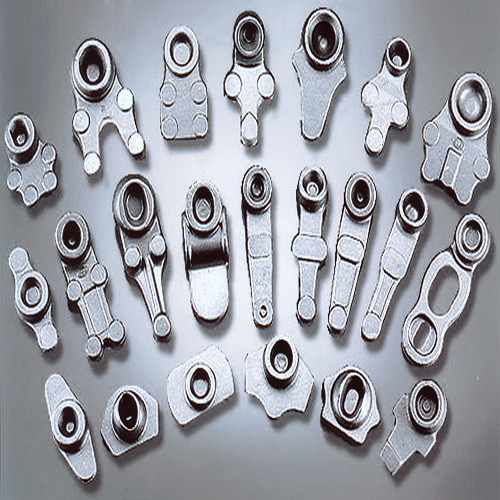 Super Forge is a manufacturer of forgings for ball joints in ferrous or non-ferrous materials. The company’s ultra modern plant has facilities and arrangement of forge shop, die shop, machine shop, heat treatment unit, shot blasting unit, testing laboratory and computerised management. It can undertake development and manufacturing of ball joint forging as per drawings, specifications and samples provided by customers. The company has an experienced team of engineers, supervisors, operators and skilled workers to take full care to maintain the best quality, high accuracy and timely delivery and rate reasonability for such forgings. The ball joint is a rotating, swivelling coupling that is typically the interface between the control arm and knuckle in a vehicle’s suspension. The ball joint serves as the pivot point between the body and the suspension. Ball joints serve as linking and guiding elements for movable parts and create corner joints. Ball joints forgings have applications in automobile, three and four-wheeler vehicles and tractors.